State TV confirms NK leader married Jump to media player North Korean state TV has shown the first footage of Kim Jong-un and his new wife since their marriage was confirmed on Tuesday. 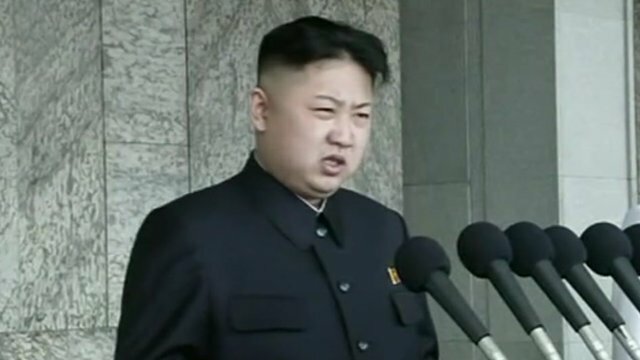 Profile: Kim Jong-un Jump to media player Following North Korea’s controversial rocket launch, David Torrance looks at the mysterious background of its new young leader, Kim Jong-un. Giant statues of N Korean leaders unveiled Jump to media player A giant statue of Kim Jong Il has been unveiled in front of a crowd of thousands in Pyonyang. 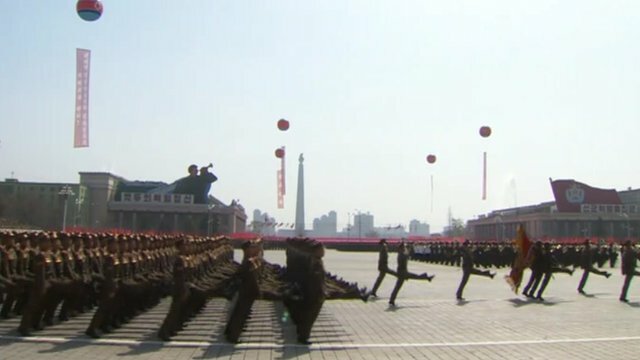 N Korea shows off 'military might' Jump to media player North Korea's Kim Jong-un has told crowds in Pyongyang the days when their country could be threatened are "forever gone", in his first public speech as leader. 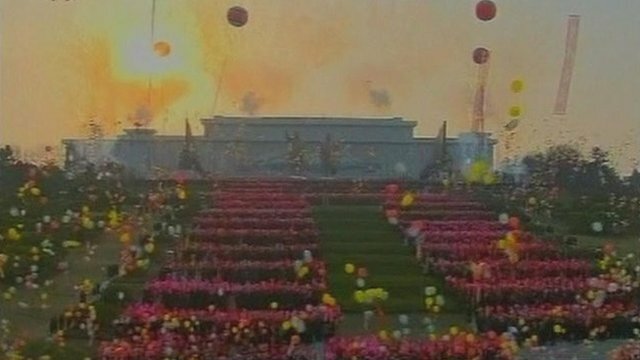 N Korea's new leader makes first speech Jump to media player North Korea's Kim Jong-un makes his first major public speech, as the country marks the centenary of the birth of its founder, Kim Il-sung. 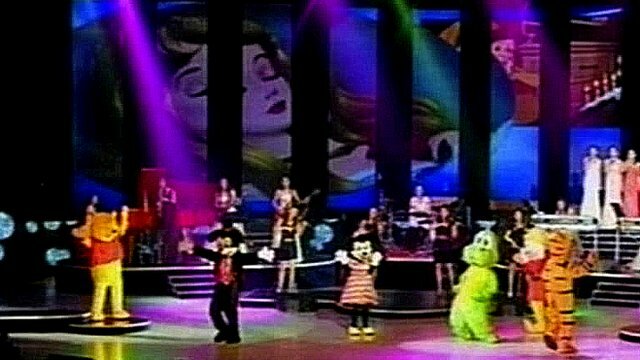 Disney comes to North Korea Jump to media player Disney characters have made an appearance at an official concert for the North Korea's new leader, Kim Jong-un. North Korean state TV has shown the first footage of Kim Jong-un and his new wife since their marriage was confirmed on Tuesday. 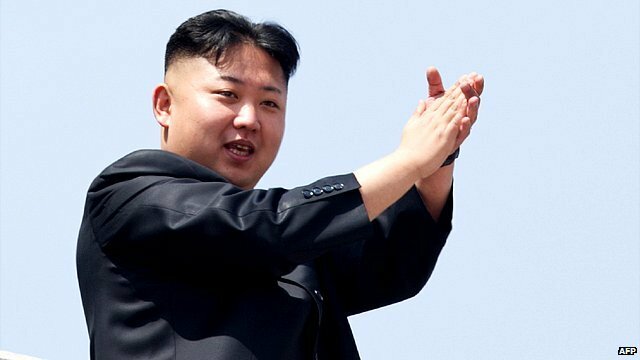 The marriage was revealed when state TV showed photographs of the leader on a visit, briefly describing the female companion with him as "his wife, Ri Sol-ju". 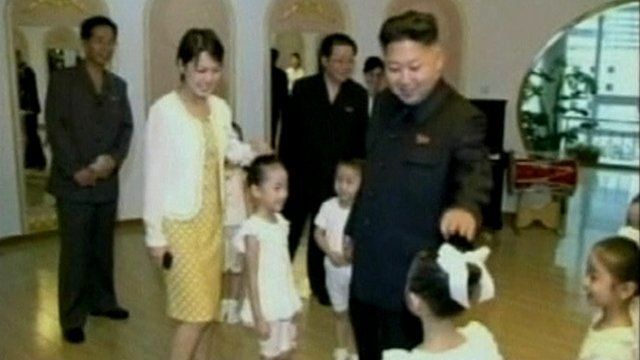 Then, on Wednesday a KRT news reader introduced the first footage of the couple at a pre-school, saying: "Amid welcoming music filling the air, our great leader of people and party, Kim Jong-un, came to a building completion ceremony with his wife Ri Sol-ju."